Ricotta provides the traditional stuffing for manicotti pasta. Technically, ricotta is classified as a dairy product -- not a cheese. Hard cheeses result when cheese makers add starters or rennet to milk, causing the milk to curdle. Ricotta, on the other hand, comes from whey left over during the process of making hard cheeses. Nonetheless, ricotta functions as a soft cheese in many more ways than you might think, baked in savory and sweet dishes with other ingredients or baked on its own . 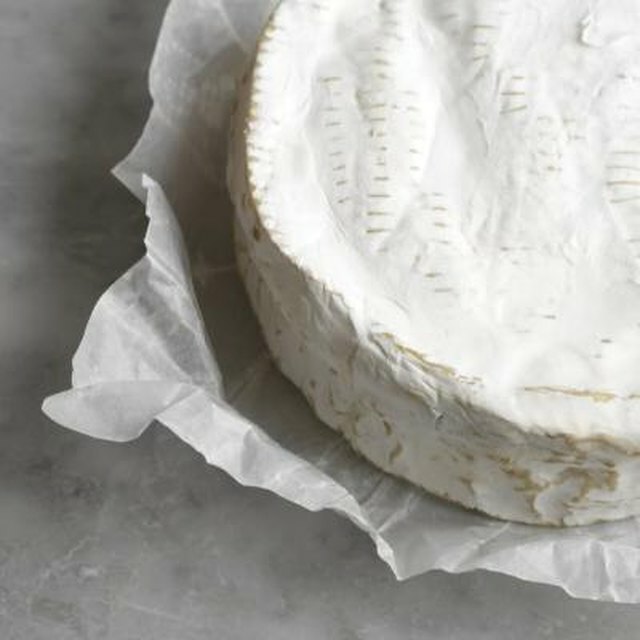 Just as you can bake brie to serve warm with crackers or toasted baguette slices, you can bake ricotta mixed with sauteed garlic, chopped fresh herbs and some olive oil until it is hot and bubbling to serve as a hardy dip or spread. Ricotta also pairs beautifully with roasted vegetables -- top your baked ricotta with roasted red peppers or carmelized onions for a richly flavored topper for crostini. Or, fill cherry tomatoes with a mixture of ricotta and chopped herbs and bake until the tomato is slightly softened and the ricotta warm. Artisan pizzas use ricotta as a change to the more traditional mozzarella, but pizza isn't the only entree or side dish you can make. Any dish that normally incorporates shredded cheese to add flavor or to bind ingredients together can be altered to use ricotta instead of or in addition to the cheese called for in the recipe. Ideas include winter squash or tomatoes stuffed with a mix of bread crumbs, tomatoes, garlic and herbs and baked until the vegetables are soft. Ricotta provides a creamy cheese filling or binder for all sorts of baked pasta dishes, from lasagna to manicotti to penne. You can also create a new pasta dish from leftover pasta by combining shredded ricotta with 1 egg for each cup of cooked pasta along with flavorful ingredients that provide a contrast to mild-flavored ricotta, such as tomatoes, sausage, cooked vegetables or basil and garlic. Bake the dish just until it is heated through. Italian cooks make cheesecakes with goat's cheese, sheep's milk cheese or ricotta, using about 4 eggs for each pound of ricotta, along with sugar, vanilla and lemon zest. For an American-style sweet cheesecake, you might add up to a cup of sugar, while an Italian cook would add about 1/2 cup. Ricotta also works for a baked pudding sweetened with a few tablespoons of sugar or honey. For pudding, use 1 egg for each 1 1/2 cups of ricotta, and top the pudding after baking with fruit conserve.